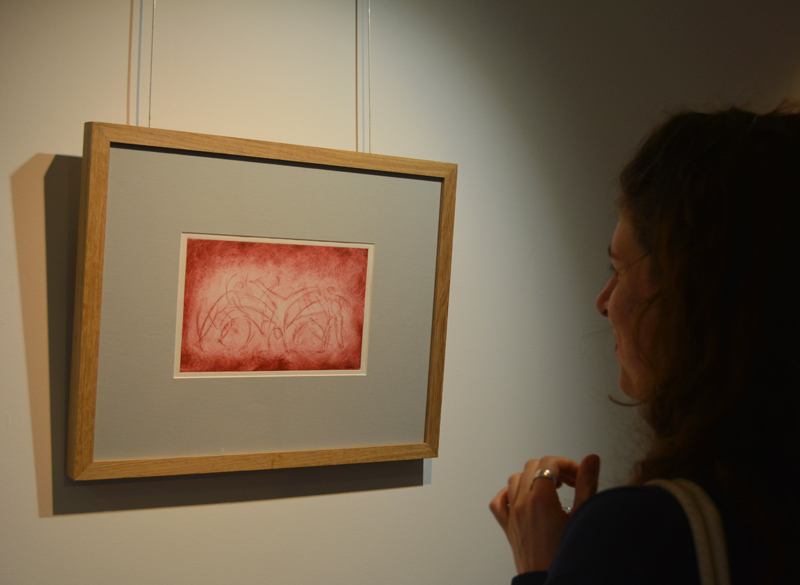 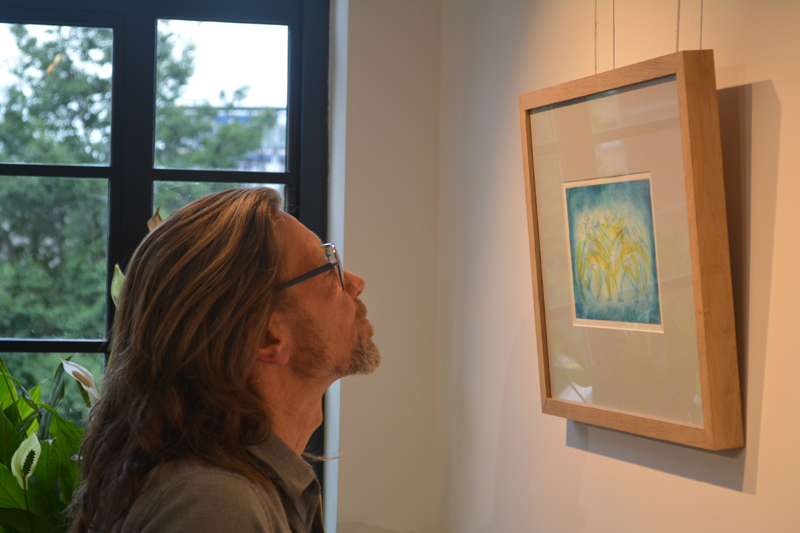 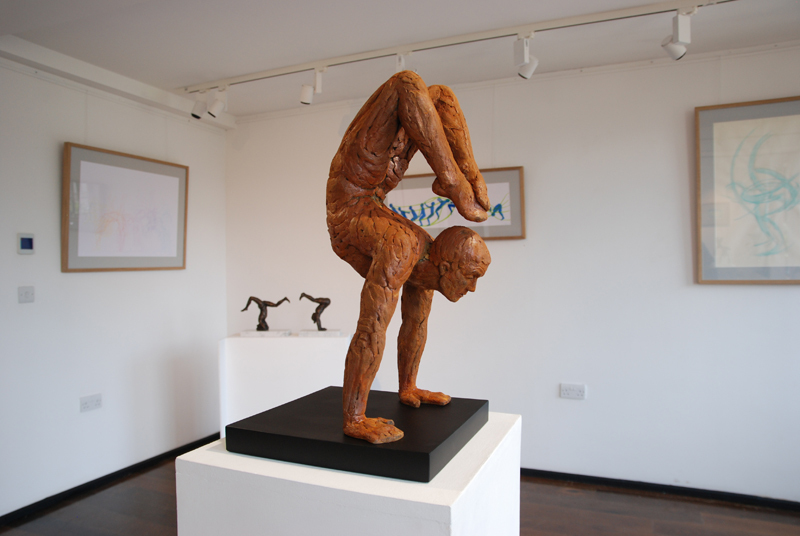 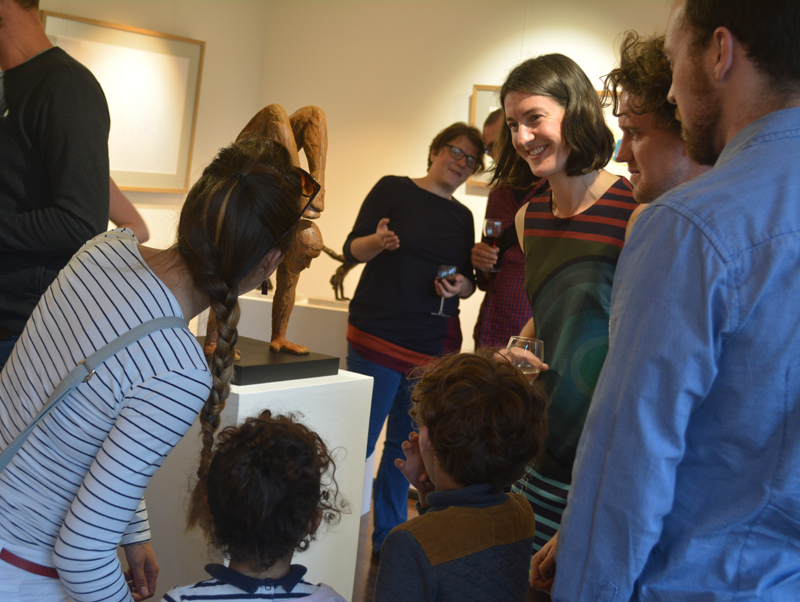 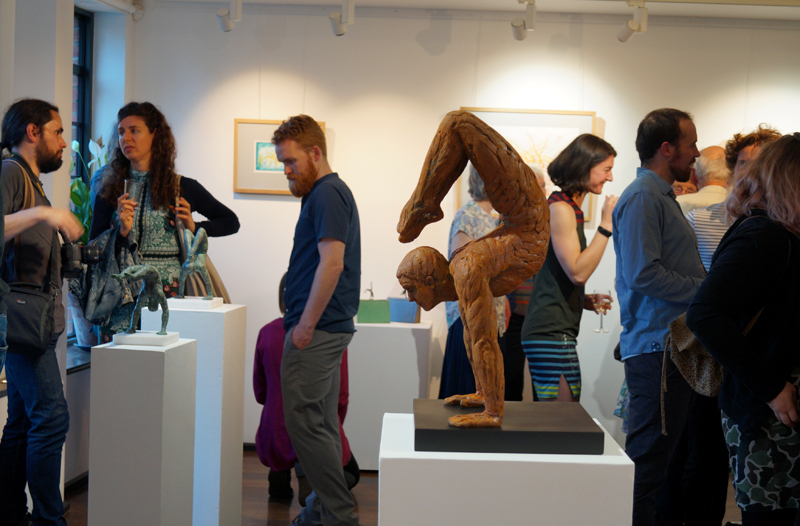 The opening night of my Art of Acrobatics exhibition was lovely event: it was so nice to see people enjoying my new prints and drawings alongside my sculptures in the beautiful Hours-space gallery. 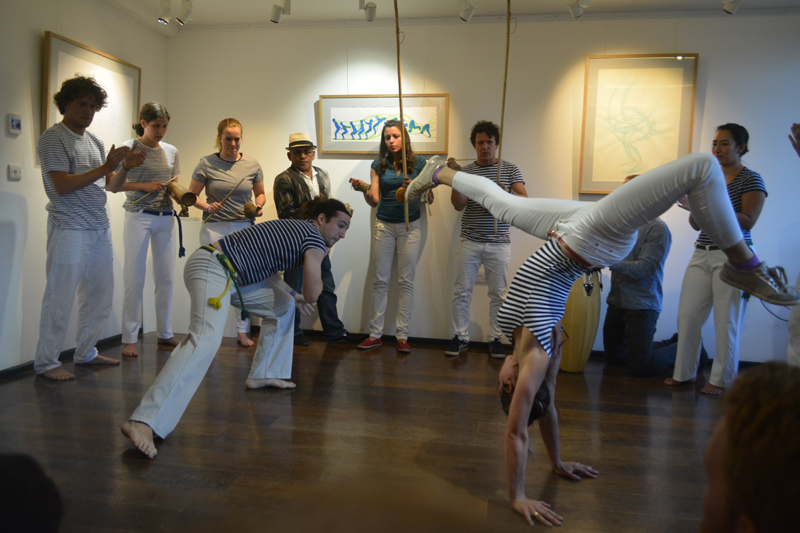 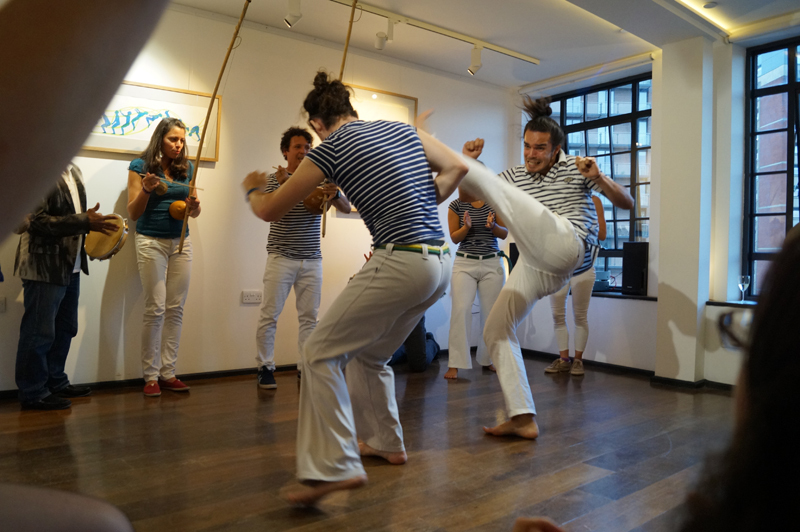 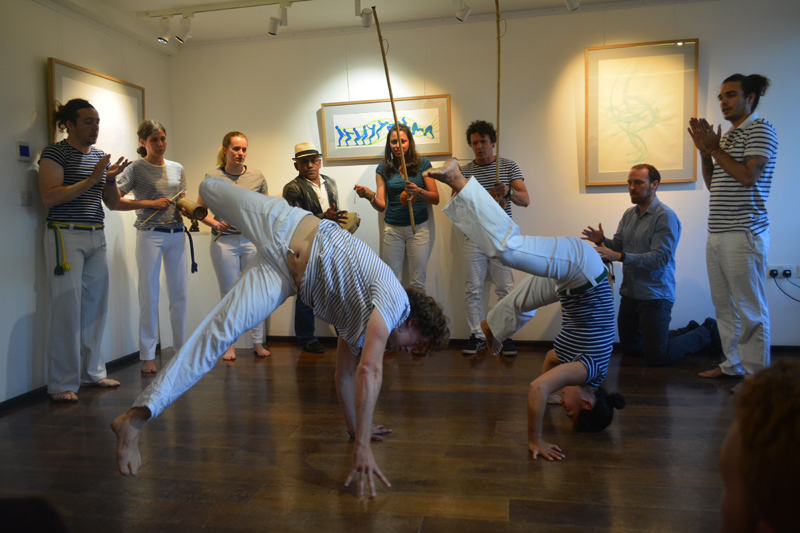 The capoeira performance beautifully gave life and context to the artwork, as the performers created the shapes and poses represented in my work, as well as being an exciting thing to watch. 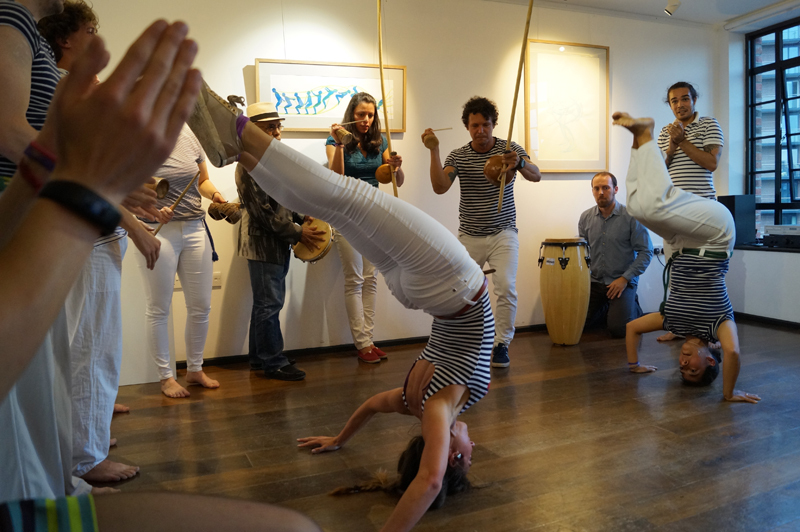 Thank you to all those who came and contributed to the event, and special thanks to Claudio Campos and his students for the capoeira performance. 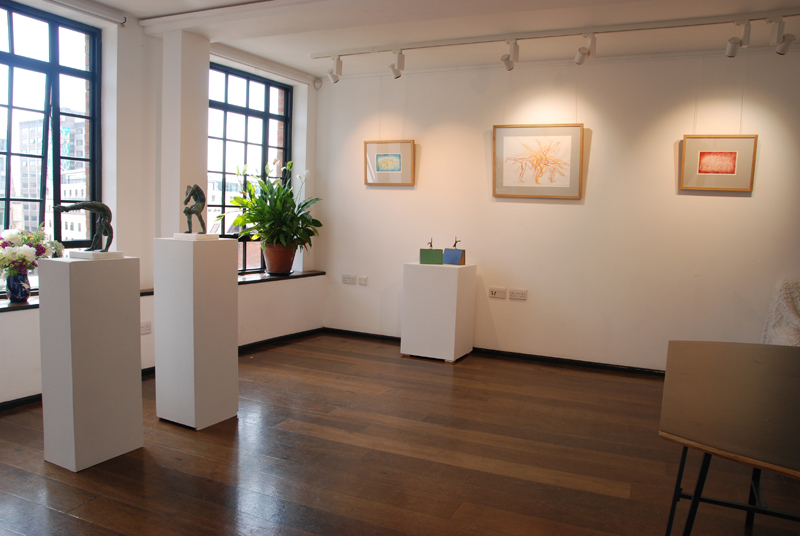 ← Exhibition in Cambridge at Byard Gallery.